It is Wednesday, so that means time for another episode of our reader's favorite game of read life match-making -- Mid Week Match-Up! This week's MWMU request comes from John who currently has a '94 GMC Safari and '00 Camry that he wants to replace with a single vehicle that has the utility of a van and economy of a Camry while keeping his wife's '01 Forester. From John: Criteria for our new vehicle: 1) Somewhat more cargo capacity than the Subaru, 2) Able to safely carry 2 canoes on the roof (~100lbs), 3) Able to tow 1500lbs of sailboat or trailer, 4) Able to occasionally carry canoes plus sailboat plus a full load of camping gear for a weekend trip of a few hundred miles, 5) AWD/4WD for Wisconsin winters, dodgy boat ramps, and light off-road use, 6) Reasonably common so we don’t end up stranded in bumf*ck Idaho waiting 3 days for a part to be delivered to a mechanic that has never seen one of those before, 7) Reasonably reliable so that #6 doesn’t happen in the first place, 8) Decent gas mileage – low 20’s or better on the highway, upper teens or better in the city, 9) $10,000 or less, maybe up to $12,000 for an especially reliable model with low mileage and a well documented service history, 10) Responsive, comfortable, and fun to drive (compared to a Camry and a Safari – a low bar, I’ll admit). We have always bought older low mileage vehicles and have had great success with that strategy. Here in central Wisconsin our choices are rather limited, but the logistics of buying in the Milwaukee, Chicago or Minneapolis areas would not be unreasonable. Our plan is to sell both the Toyota and the GMC and get something with most of the van’s utility and much of the Camry’s economy. This vehicle will be my daily driver (~75 miles/week), plus utility vehicle for frequent weekend canoeing/camping/sailing/skiing trips, plus 1 or 2 annual car-camping trips of 5-8000 miles total. DT E-i-C Vince: In 2009 Ford released the Focus based Ford Transit Connect into the US market in a limited production capacity for small business/fleet use. Production continued through 2013 and these are now prime on the used market. You get a 2.0 liter Duratec inline-4 that returns decent fuel economy, a car-like ride, and tons of room for your stuff. 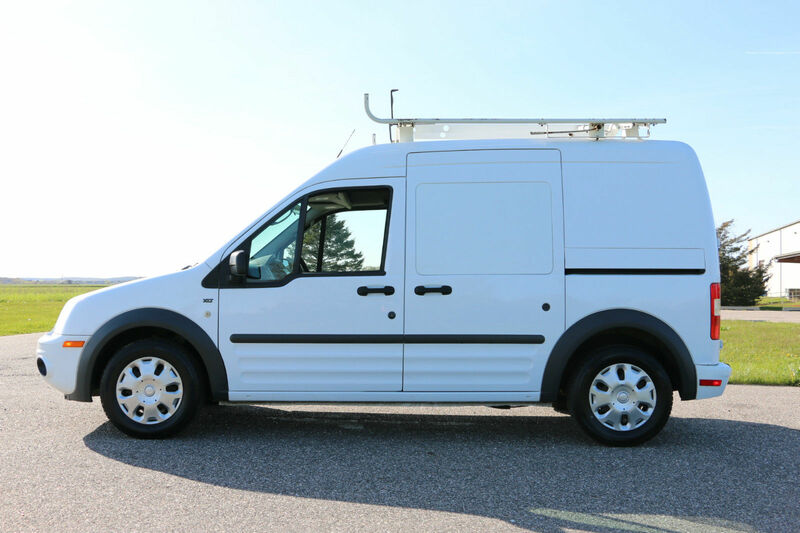 For example, here is a 2010 Ford Transit Connect offered here on eBay for $9,995 buy-it-now located in Riverhead, NY. What do you recommend for John? Comments below. I love the Transit thought - just need to add some shackles to hold friends in the back when you've got to carry more than one passenger. These were built in Turkey, and to avoid the 'chicken tax' they're all shipped over with the cheapest possible windows and seats. Then when they got to the US the windows and seats were stripped out and scrapped. But there were variants sold here as passenger vehicles, you just have to find one. I want to buy one of these and swap in a Focus RS (or ST) drivetrain/suspension and take it for a few laps on the Nurburgring. Would be fun. Zach -- if you need to make more "friends" just spray paint "free candy" on the side. Ha! Great suggestion - although the passenger version would probably be preferable to tradesman model with 'shackles' added for the extra passengers. It would be hard to find anything else with that much cargo capacity in such a small and economical package. I spotted one at the local Ford dealer when they first came out - looked it over pretty closely and generally liked it. Wife was not impressed when I pointed it out to her. Too ungainly and too spartan for her tastes. That, and FWD only bump it out of the running. I think the search image is for something about halfway between the TC and mrkwong's Benz. I've been thinking of an ST swap too but turning it into an RV camper. Driving an RV shouldn't be a chore! Maybe not that exact one as it has 161k but it was the first I found in your neck of the woods. And they are rated to tow 3500. But when you have a sailboat in tow, and 2 canoes on top then anyone passing you still knows you're having more fun than them. Unless they're in an ACR Viper pulling a tiny trailer full of spare tires and wheels. And even then you'll probably get a thumbs up. Yeah, we were hoping to find a Sienna in our price range when we bought the Safari. Certainly an upgrade in many respects, but after driving minivans for 15 years, we're looking for a change. 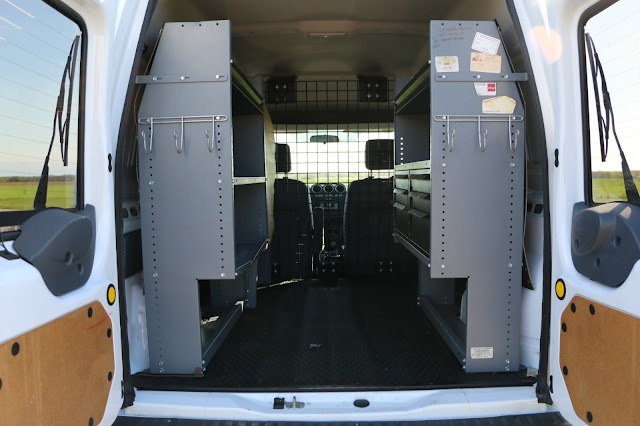 T/Connect will provide you 124/149 cubic feet (frt seat down). 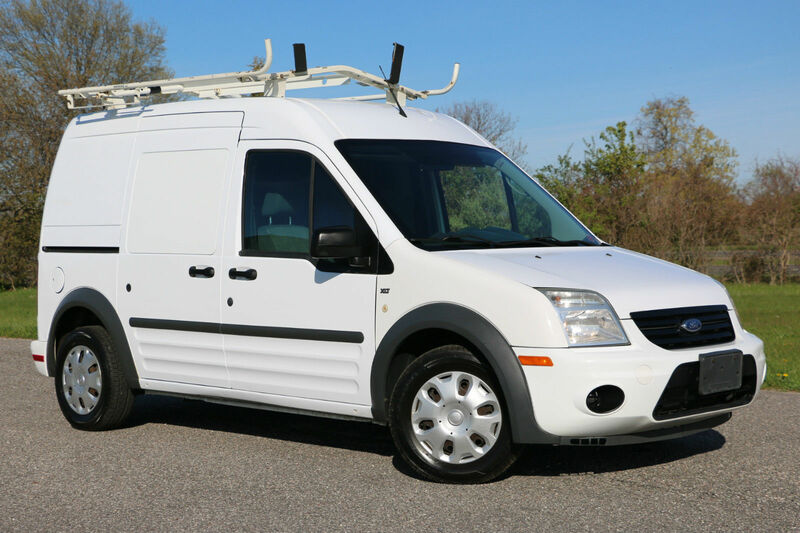 An alternate could be a RAM C/V Tradesman at 144(Caravan). The RAM C/V would be priced to compete with the T/C, provide slightly better load capacity, nearly double the tow rating, dealer network, parts up the waa-zoo(Hello,RockAuto? ), and maybe even some warranty carry-over. 2012 can be had for $10k. https://www.carsforsale.com/ram-cv-for-sale-C169434. One version has floor storage sans the folding seats. A more comfortable daily-driver and slightly less 'lift' to the roof-rack. John-bring me back to it. Yes, a little run-on but I missed something here. Try a '03-06 Volvo XC90 2.5T AWD. Really reliable, good mpg (23/18), decent power, up to 7 seats, and flexible utility. Actually quite capable off road if you choose to go. I've had an '04 since new and have over 140k mi on it. XC90s are pretty scarce around here and low mileage examples tend to be out of our price range but, yeah, that's one we've been considering. It does seem that the post 200-series Volvos get mixed reviews with regards to reliability. Were '03-'06 particularly good years for this model? '03 was first year, so stay away, general rule. Not much difference between '04-06 except some minor cosmetics. Just buy the nicest one you can. If you don't need AWD, getting a FWD 5 passenger 2.5T is pretty much bullet proof. Just have good snow tires. The only real know issue with all AWD Volvo's between 95-'13 is the angle gear. They can expire around 110,000mi if you don't keep the oil topped up. It's a $700 part as a rebuild, but could be worse. Don't get me wrong, I smile a little everytime I see a little transit running around. seem so practical for so many commercial applications. An Aztec - absolutely! Unfortunately, it seems like they have all made their way to those that love them - low mileage individuals seem to be about as common as hen's teeth. I suspect that GM was about 5 years too early with this model. It might have been more commercially viable if introduced a few years later. I like the oddball styling and utilitarian configuration, but the wife is turned off by the Walter White association. I think that Aztec's got a second life when Breaking Bad used one on the show -- I'm not saying that they'll be bidding for six figures at the next Barrett-Jackson auction, but there is some demand for them these days. Astro/Safari is hard to beat. I've thought about getting another one myself. They made them till 2005 and are available as an AWD version. The aftermarket has all manner of lift kits, Westfalia style pop-tops, etc. 20ish MPG on the highway if you keep the speed down, can tow up to 5000lbs. Find a low mile one and start over. I have to confess, we're on our 3rd AWD Astro/Safari. A lot of vehicle for the money - each one had ~80k at purchase and cost $5000 or less. Very reliable, capable and utilitarian. I've driven them to the Atlantic, the Pacific, the Gulf, and deep into Canada - something like 200k all told. I think I got 20mpg once - empty with a strong tail wind. We're usually loaded up when on the highway and get 17-18 driving 65-75 - slightly less with canoes on top. Around town is more like 12-13 in the winter, 14-15 in summer. Sold the first 2 when everything started wearing out and significant repairs were on the horizon at ~160k. Number 3 is still going strong at 120k, but the rust is starting to creep in around the edges and I suspect it's worth a lot more this summer than it will be after another salty winter. We'll keep this one until the right deal comes along, but our needs have changed and after 16 years or so we're ready for something different. What about a first generation Cadillac SRX? Decent power and good road manners, don't know the tow rating, but I'll bet its good enough. Thanks to all of you for your suggestions and comments. I did some more research and we test-drove quite a few different vehicles. The first generation Toyota Highlander seemed to tick off the most boxes, and we found a 2006 model with 77k in Milwaukee last Friday. Trailer hitch and canoe rack are on order and should be arriving later this week.